Today I was listening to the Sirius-XM 1980s station and I heard Pat Benatar's Heartbreaker, a #23 Billboard hit for the singer in 1980. Linda Ronstadt had two Top 10 Billboard hits in 1980, How Do I Make You and Hurt So Bad. You'll never hear either of these songs on the 1980s station. Those two hits were from Linda's album Mad Love, which entered the Billboard album charts at #5, a record high placement for any female artist at that time. 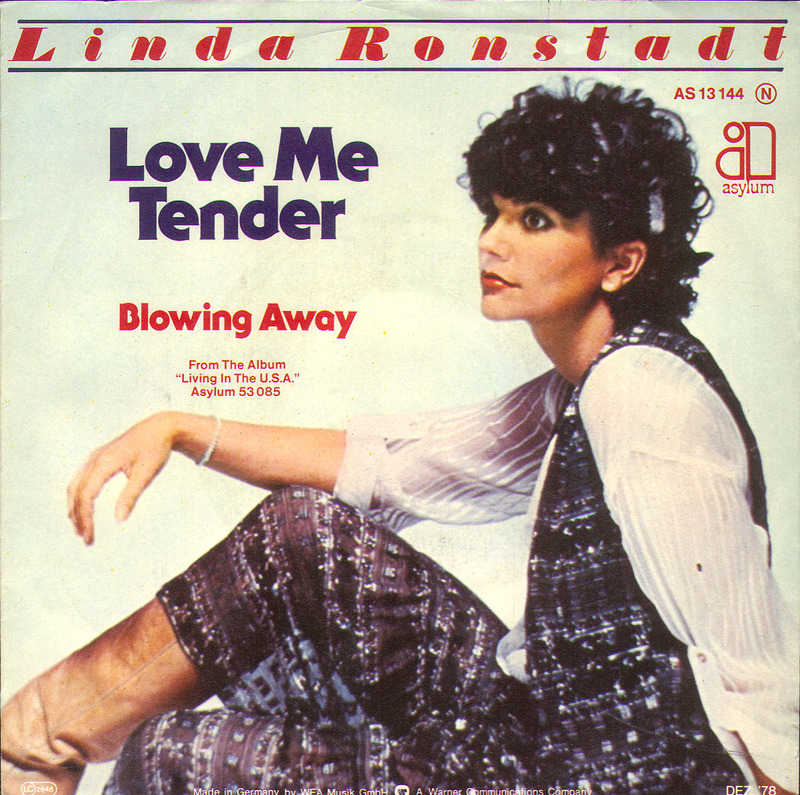 Linda Ronstadt was also the Billboard #1 female vocalist for the year of 1980. 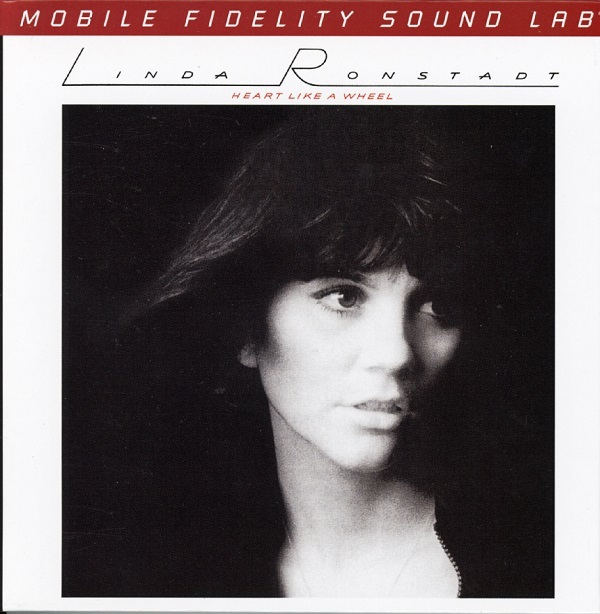 You will hear a lot of Pat Benatar on the 1980s station, but not much Linda Ronstadt. Even with all the non-pop music that Linda performed during that decade, she still had more Top 10 pop/rock hits during the 1980s than Pat Benatar. Two of her duets were #1 sellers. Why does a station that devotes itself to the music of the 1980s totally disregard Top 10 and million-selling hit rock and pop songs by Linda Ronstadt, not to mention some of her hits that did not make the Top 10? In fact, the only time you will ever hear Linda Ronstadt on the Sirius-XM 1980s station is when they are playing a Top 40 countdown from a week during that decade. I would like to know who at Sirius-XM is blacklisting Linda Ronstadt. Do you have any ideas? Tell me here: Blacklisted! 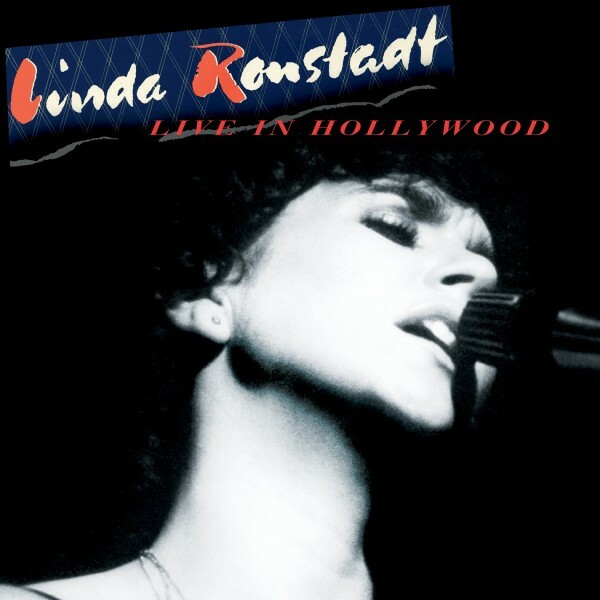 Linda Ronstadt's first officially available live album was released by Rhino Records on February 1, 2019, and shot to the #1 sales position on iTunes, Amazon, and CDUniverse. Unlike the many bootleg releases with marginal sound quality that have found their way to the market over the years, this album was made from the original master tapes. Live in Hollywood is available on CD, vinyl, and in digital formats. For more information or to order this release, visit the official Rhino Records website. It is also available from CDUniverse and Amazon. Click on the image to the right to hear a live performance of Just One Look, from this live album recorded in 1980. 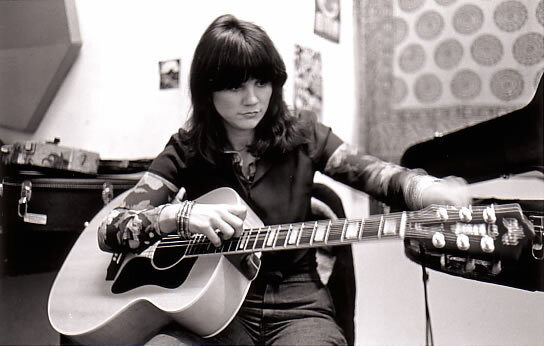 Maria Linda Ronstadt was born July 15, 1946 in Tucson, Arizona. 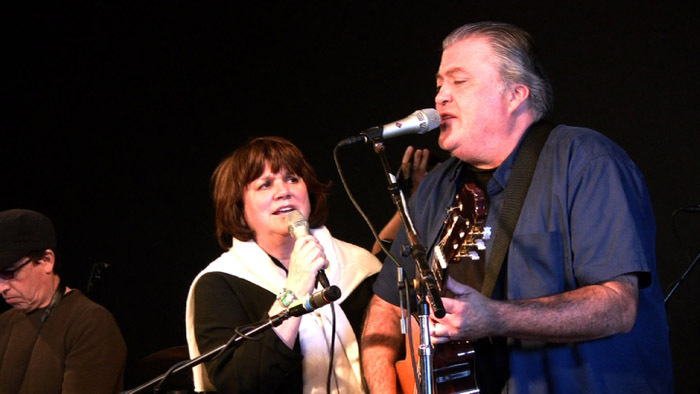 No other vocalist has had a more diversified career than Linda Ronstadt. She began her career in the mid-1960s with the folk-rock group the Stone Poneys. After the break-up of the Stone Poneys, Linda entered the country music field. In 1969, with the release of Hand Sown... Home Grown, Linda became the first female singer to release an alt-country album. In 1971, she put together the band that would become America's biggest selling band, the Eagles. Linda achieved her greatest commercial success in the mid-1970s when she became the first female rock superstar and the top-selling female vocalist for that decade. During this period, she became widely known as The Queen of Rock and The Queen of Country Rock. Achieving superstardom during the '70s, Linda went on to sell an even greater number of albums in the '80s than she did in the '70s. Her long string of platinum albums continued throughout the '80s with several varied projects. These included three albums of standards with the Nelson Riddle Orchestra, an album of mariachi standards, and a trio project with Dolly Parton and Emmylou Harris. She ended the decade with a return to popular music featuring her duets with Aaron Neville. Linda's success extended into the '90s as well, starting off with a Grammy win for Don't Know Much and ending the decade with a Grammy nomination for Western Wall and a win with Trio II. 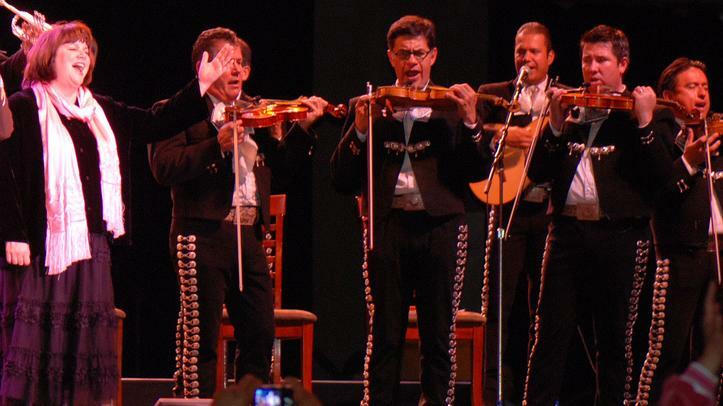 Other Grammy-winning projects during the 1990s included another album of Mexican canciones, an album of Latin music, and a best-selling album of rock classics redone as lullabies. During this same time, she produced some of the best pop/rock music of her career with Winter Light, Feels Like Home, and her last rock album We Ran. Linda began the new millennium with her only Christmas album, A Merry Little Christmas. This was followed by an album of classic jazz standards, Hummin' to Myself. Linda's final album release was Adieu False Heart, an album of duets with Cajun artist Ann Savoy. Linda is now retired from performing due to Parkinsons Disease. 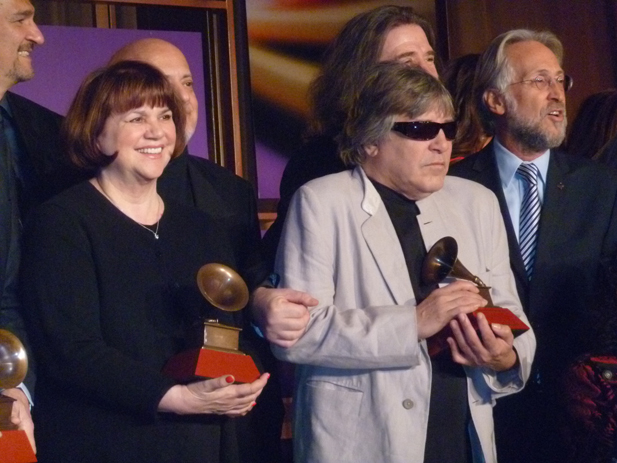 On November 9, 2011 Linda was honored with the Lifetime Achivement Award from the Latin Recording Academy. On April 23, 2016 Linda was honored in Los Angeles with a special Lifetime Achievement Grammy Award. 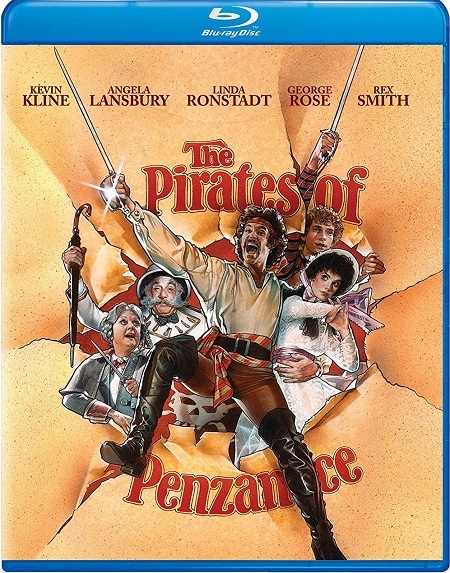 The movie version of The Pirates of Penzance with Kevin Kline and Linda Ronstadt is now available on blu-ray disc for the first time. For more information or to order, click on the image above. Pirates of Penzance is also available on standard DVD. A new release of Linda's classic album Heart Like A Wheel is a limited edition of 3000 numbered copies and is issued in a hybrid SACD/CD format that will play not only on SACD player but all regular CD players as well. This title can be ordered direct from the manufacturer, Mobile Fidelity, or any of a number of online retailers. 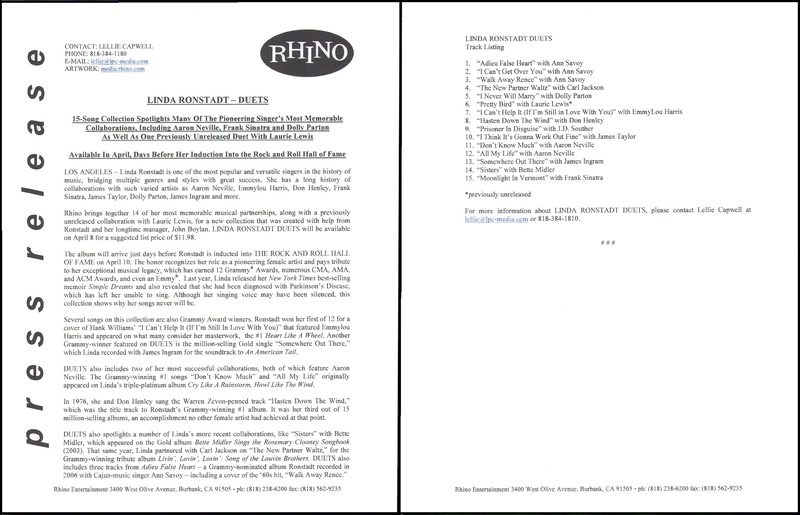 Rhino Entertainment has released a special 40th Anniversary Edition of Linda Ronstadt's multi-platinum album "Simple Dreams." It is made available on CD, vinyl, and Hi-res digital downloads, carefully remastered from the original analog tapes. The original packaging has been preserved, and liner notes by producer Peter Asher are included. As a special addition in all formats, three bonus tracks will be included, live versions of the songs It's So Easy, Blue Bayou and Poor Poor Pitiful Me. On the LP version the bonus songs will be on a second record. More detailed information can be found here. 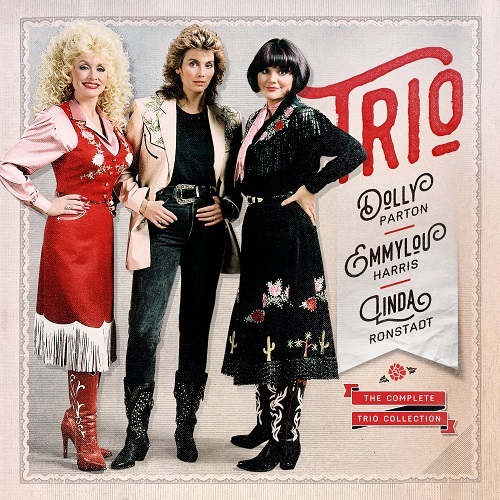 The Complete Trio Collection includes both previous Trio releases, as well as a full disc of previously unreleased performances by the Linda Ronstadt, Dolly Parton, and Emmyloy Harris. Click the image above to order. Also available is My Dear Companion: Selections from the Trio Collection. Also available, on vinyl only, is Farther Along. 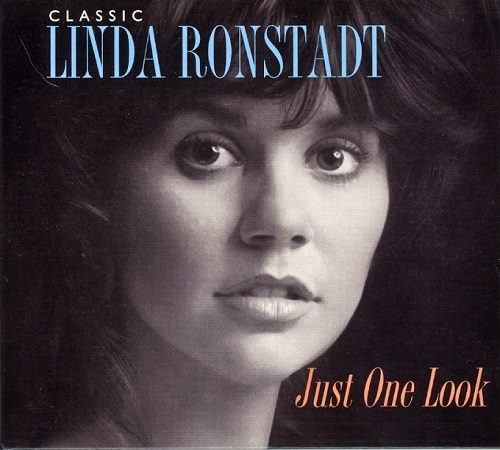 Just One Look, a new 2-CD collection of Linda Ronstadt featuring 30 of her best performances (re-mastered) was recently released. To order this collection online, visit CDUniverse. 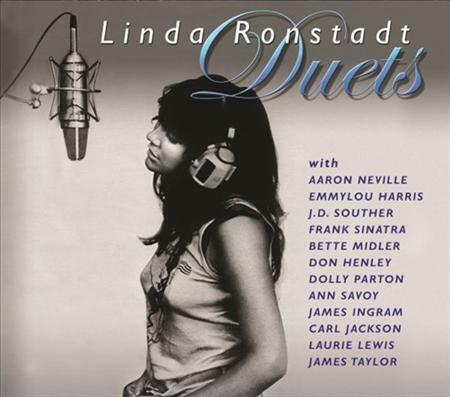 A collection of Linda Ronstadt duets was released on April 8, 2014. For full details of this release or to order this album, click here. The book shown to the left, an unauthorized biography of Linda Ronstadt, has been available for a couple of years. A new paperback edition of this book is now available. It has much new material added and has new photos as well as dozens of pages of new content. Release in digital format is expected early in 2019. You may contact the author, Mark Watson, for more information. 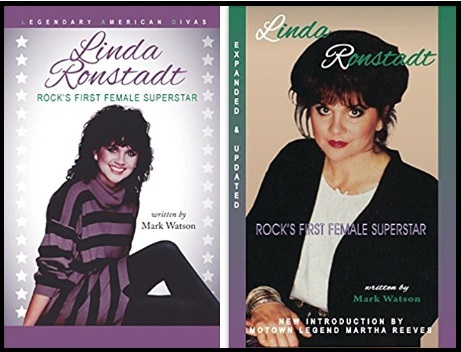 The prior hardcover edition of the book, Linda Ronstadt- Rock's First Female Superstar,can be ordered from Barnes and Noble or from Amazon.com. The updated softcover edition of the book, Linda Ronstadt- Rock's First Female Superstar,can be ordered from Barnes and Noble or from Amazon.com. 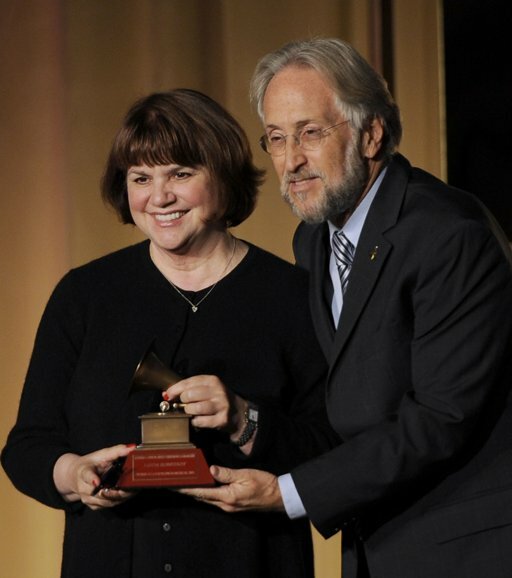 On February 10, 2013, Linda Ronstadt discussed the power of music and other topics at Grace Cathedral in San Francisco. To listen to or download this one-hour program, click on this Grace Cathedral link. Linda Ronstadt's classic album Heart Like a Wheel is among 25 recordings selected for long-term preservation in the Library of Congress' National Recording Registry. You can read more about this in this article from the Los Angeles Times. 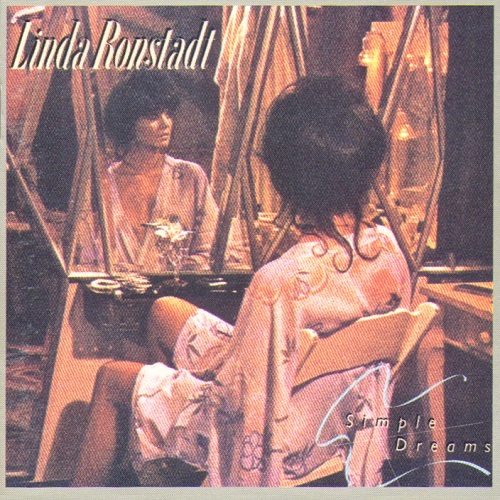 Linda Ronstadt's memoir, titled Simple Dreams, was released on September 17, 2013. The book is available in hardcover format in English and in a Spanish language trade paperback. The book has also been released in paperback. 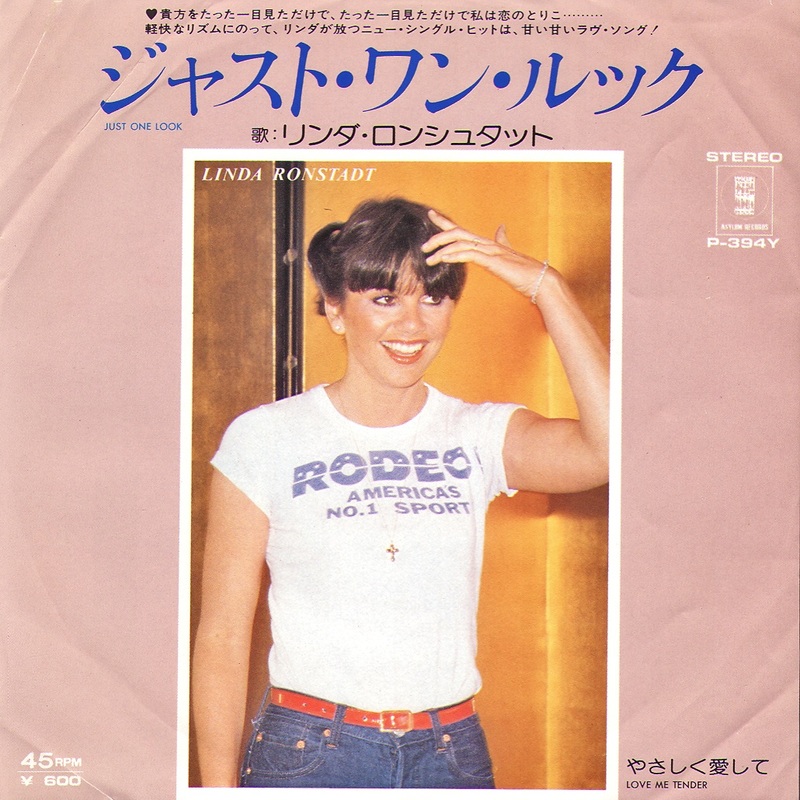 A TV program from the past featuring Linda Ronstadt is now available on DVD. 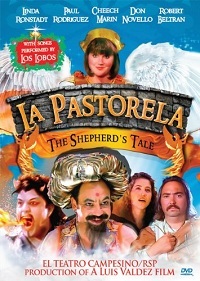 Originally produced for PBS's Great Performances Series, La Pastorela is a musical retelling of the shepherd's journey to Bethlehem to see the Christ Child. We see the tale through the eyes of a modern young girl, the oldest child in a large rural Tex-Mex family. During a surrealistic dream, which brings to mind "The Wizard of Oz," the young chicana makes a fantastical journey with the shepherds and along the way witnesses the triumph of God's Angels over Satan's diablo's. This DVD was released November 6, 2012 and is currently out of print. A few copies remain for sale at Barnes and Noble. Ten-time GRAMMY winner Linda Ronstadt is one of the '70s most popular interpretive singers and has released more than 30 solo albums, 15 compilations and greatest hits albums, with several reaching certified gold, platinum and multi-platinum status. Released in 1987, her first all-Spanish album, Canciones De Mi Padre, stands as the best-selling non-English-language album in U.S. music history. Nicknamed the Queen of Rock, Ronstadt has recorded in several genres such as jazz, R&B, gospel, opera, country, choral, tropical, and mariachi. Additionally,she has collaborated with such diverse artists as Rosemary Clooney, Billy Eckstine, Philip Glass, Flaco Jim�nez, the Chieftains, and Dolly Parton. She currently devotes time to her family and continues to support many Hispanic social causes. Numerous fans have contributed to the construction of this webpage. I would like to thank these Linda Ronstadt fans for their help. You may send email with this link. 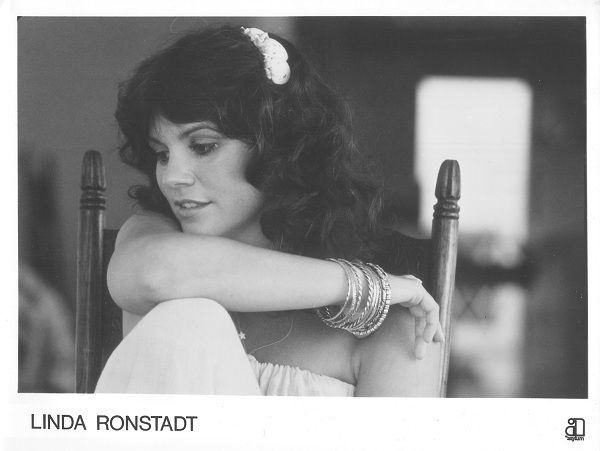 Please keep in mind that mine is an unofficial Linda Ronstadt webpage. Yahoo and MSN have this listed as her official website, but they are wrong. 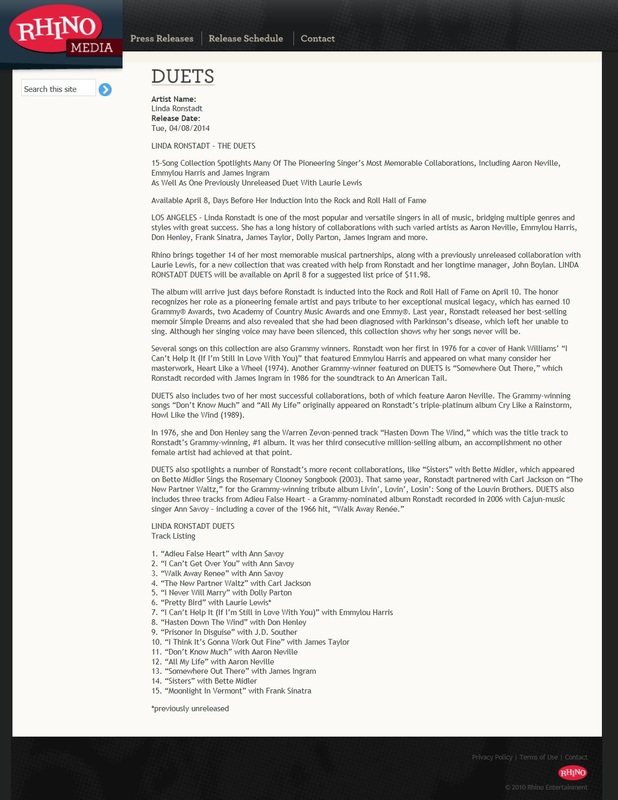 By using this email link, you are not communicating with Linda Ronstadt or anyone who has direct contact with her. She will not see your email. When you make your online music purchases, Linda Ronstadt or other artists, through the CD Universe links on this page, 100% of the money earned on sales through this website will be donated to Grassroots Acoustica charities. Thanks to your purchases through this website, $1439.95 has been donated to Grassroots Acoustica. Click on the CD Universe logo below for ordering, or click on the Grassroots Acoustica logo to learn more about that organization. *This is an unofficial fan page, and is not affiliated with Linda Ronstadt.